The weaving is done before dyeing. 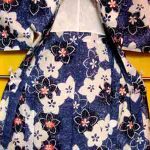 Furisode, Tomesode, Homongi, Tsukesage, Iromuji, Komon are made from the process of this method. 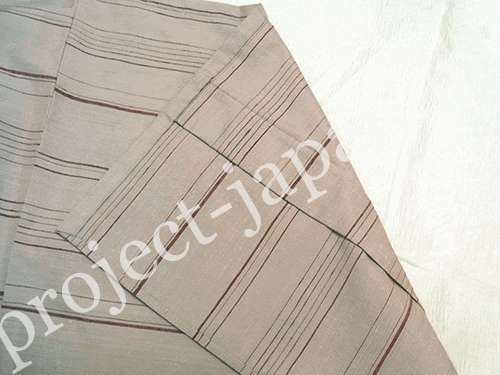 The piece-dyed kimono is considered higher status than the yarn-dyed kimono. The weave patterns are made from the dyed yarn. Tsumugi (Yuki, Oshima, Shiozawa and Ueda-Tsumugi are famous), Kasuri and Jofu (Echigo, Omi, Miyako and Noto jofu are famous) are included in this category. 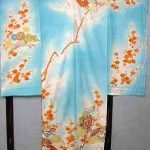 Kimono with back fabric in general. 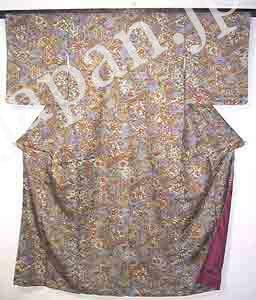 It is also called “lined kimono”. 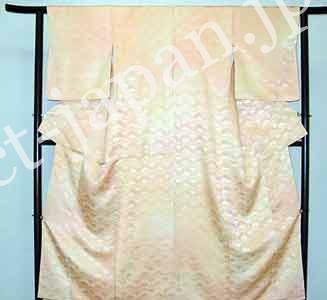 Hitoe is a non-sheer kimono without back fabric. So it has single obverse fabric. Exclusively worn from June to September, but as a general rule, June AND September (Japanese early summer and late summer). 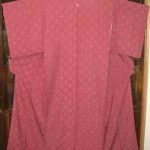 hitoe kimono, without no liner. 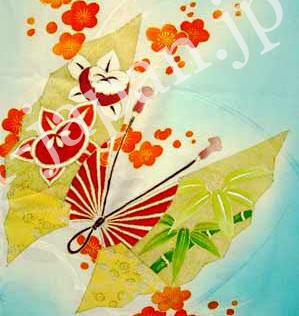 (you can see more detail on “Hitoe kimono for June & September”. 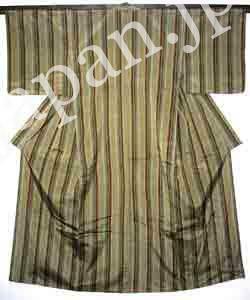 Yukata also doesn’t have a lining cloth. 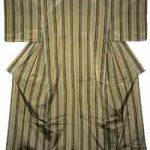 In the highest summer, another kimono without back fabric is worn. This type is sheer. 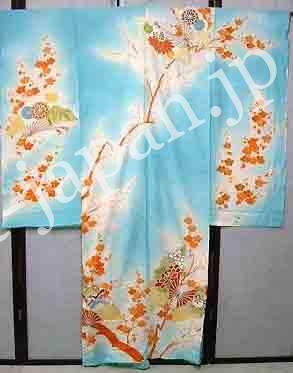 The first rate formal kimono for the unmarried lady. When it is spread, you can see a piece of a fancy pictorial art. 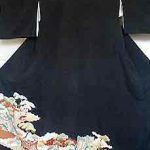 There are several kinds of sleeve length, and the longer is the higher status and the more magnificent. 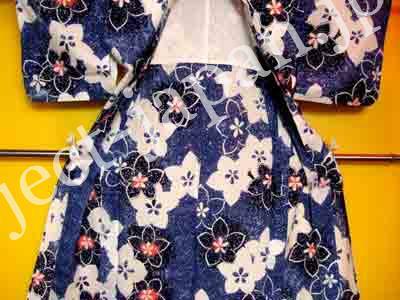 The broche Obi is frequently used with Furisode because of its luxuriousness and magnificence. 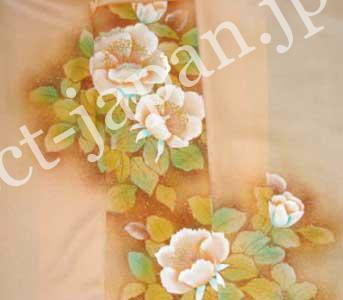 The first rate formal kimono for the married lady. 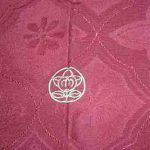 The family crest is dyed on 5 spots (either side of the breast and the back side of the sleeves, the center of the back). 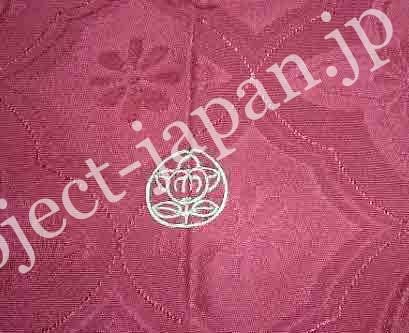 Tomesode with the crest on the 3 spots (either side of the breast and the center of the back) is a little informal. The art on the bottom is a one continuous picture (without interruption on the seam). This type of design is called “Eba”. 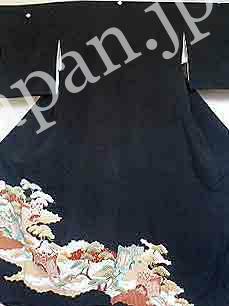 In the wedding ceremony, Black tomesode is wore by the mother of bridal couple, the go-between and the relatives. 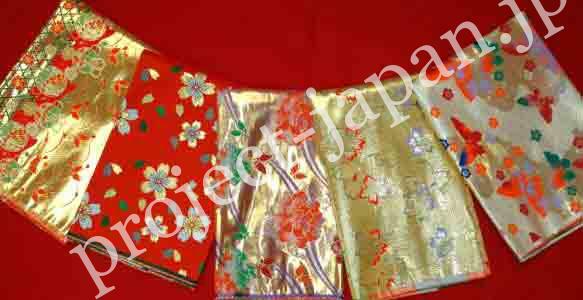 Fukuro Obi with the golden and silver thread, the fan with the black ribs, the both side of which is gold and silver are teamed. 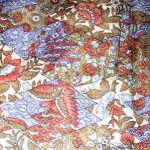 The smallclothes are of white fabric with gold or sivler thread. Colored tomesode is for both married/unmarried ladies. The picture on the bottom is also as same as Black Tomesode. With the crest on 5 spots tomesode is as same status as Black tomsode, and 3 spots or 1, semiformal. 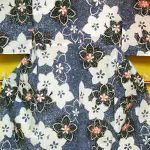 A semiformal kimono for both married and unmarried ladies. The art is designed on the collar, the shoulder, the bottom. Mainly it is Eba type. 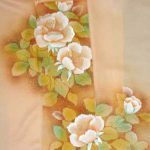 For married lady, Homongi is the most colorific and elegant kimono, and for unmarried lady, the second gorgeous kimono to Furisode. 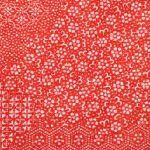 Homongi is suitable for a wedding ceremony, a formal/semiformal party, a tea ceremony, visiting elders and betters etc. 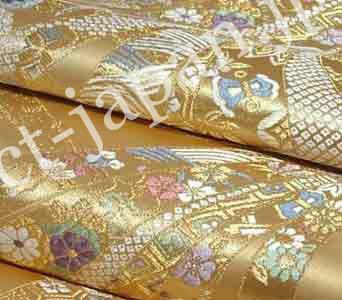 Obi with golden or silver thread is well matched. 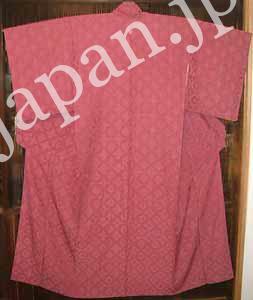 A single colored kimono without picture. It is suitable for both a demitoilet and a stylish garment, and also wearable for both an auspicious event (with a bright color) and a funeral ceremony (with a dark color). With the crest on 3 spots, the status is higher than Houmongi. The black colored with the crest on 5 spots Iromuji is the first status for mourning . 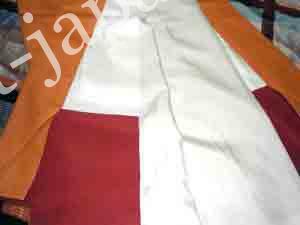 With 1 spot crest, it is well-suited to other formal ceremony. 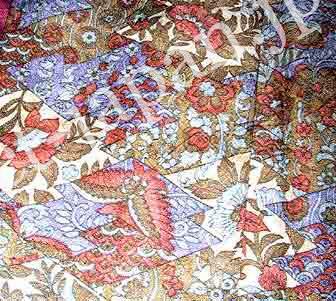 The fabric is embossed with tint block patterns. This Iromuji has one crest on the center line. The second status to Homongi. All the design on the breast, the shoulder, the front top corsage, the back corsage and the sleeves are upwardness. Suitable for a formal/semiformal places. For example ; a wedding ceremony of friends, a party, a tea ceremony, going to a theatre etc. Both Fukuro Obi and Nagoya Obi are matched well. 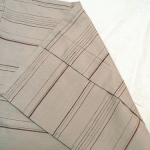 This Tsukesage’s design is gradation of color, not pictures. Very suitable for a stylish garment (semiformal/casual). The same patterns are repeated regardless the size or upside/downside of them. 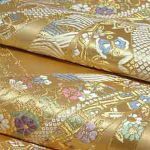 There are a wide variety of disigns and colors, and each characteristics are categorized as Edo Komon, Kyogata Yuzen, Benigata Komon, Sarasa Komon etc. 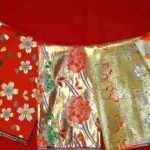 Variable type of Obi and accessories for kimono go best with Komon. It can become semiformal or casual with them. 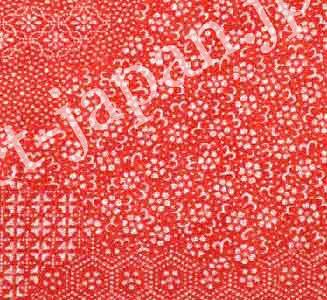 Such design is called “Sarasa-Komon”. 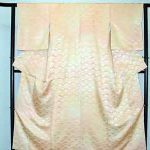 It has been categorized as a casual kimono, but recently characterized as a sophisticated wear because of the excellence of the traditional craftsmanship. So it is also wearable for something of a party. Mainly, Tsumgi is made from the dyed yarn, but some are weaven first befor dyeing. The typical styles of Tsumugi are Oshima, Yuki, Shiozawa, Ueda etc. Each of them has the unique material and process of manufacture, the name of them has the name of the area of production. 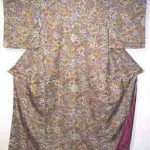 Nagoya Obi and Han-haba (half width) Obi are usually teamed. This is “Iida-Tsumugi”. Iida (Nagano Prf.) is located in the south area of Nagano Pref. Casual kimono for summer. Usually made of cotton. Wearable for the Natsu-Matsuri (summer festival), a casual outing. 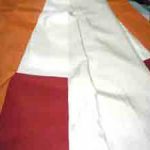 It had been worn after the bath originally. Nowadays, young people wear yukata when they go and see a fireworks displays. 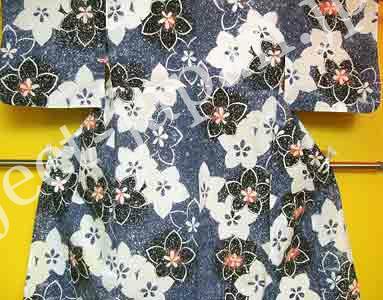 This Yukata’s pattern is Japanese bell-flower.